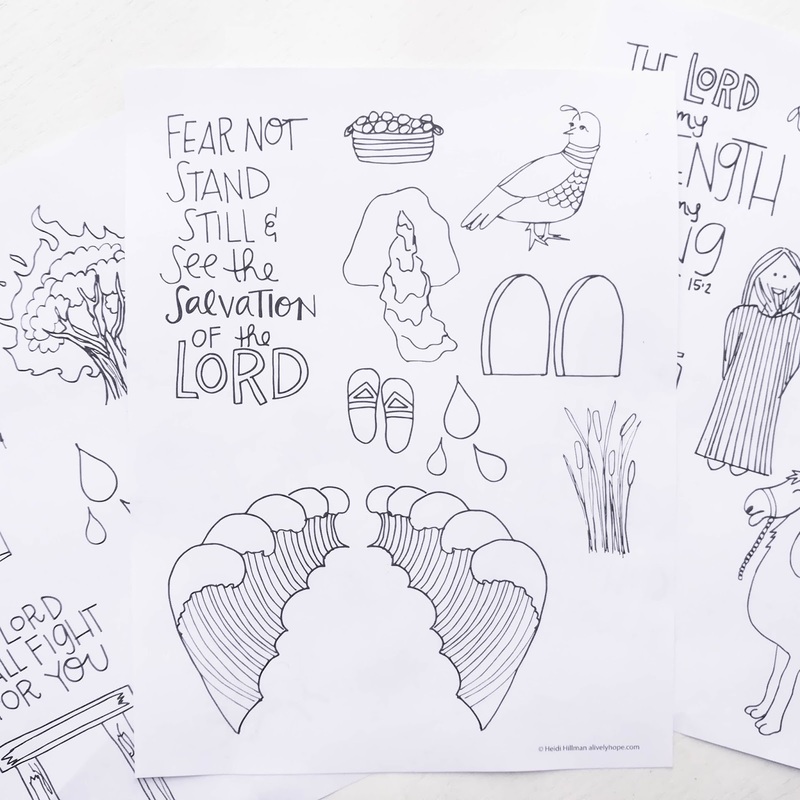 Sketchnote doodles for Exodus and Leviticus. These doodles are perfect to trace into your bible or scripture journal. You can also print them on clear sticker paper and color them before you apply them. 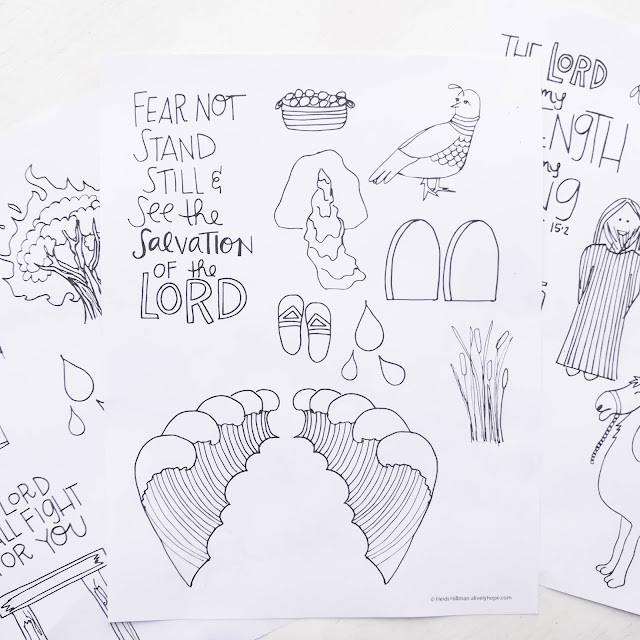 I'm so pleased to be back and continuing on with my Old Testament Scripture Doodle series! I'm studying the Old Testament this year and loving it! 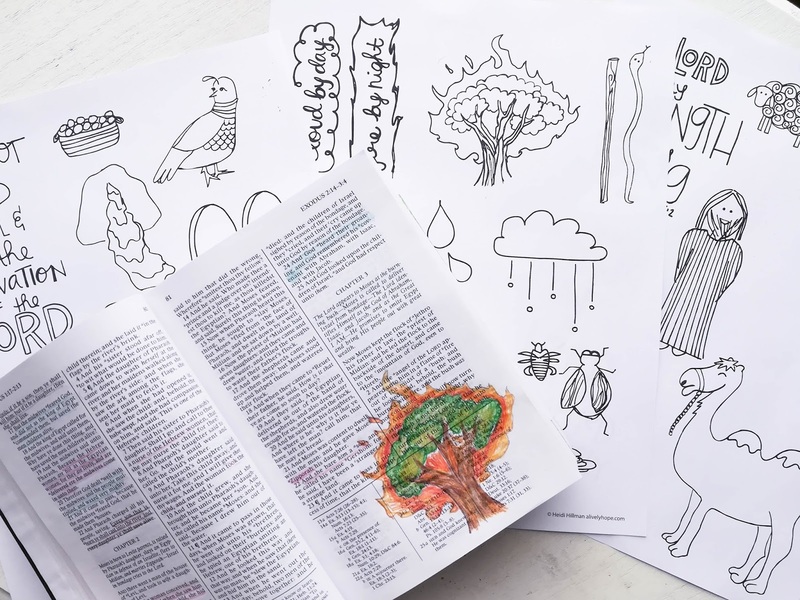 Today I have a free download of doodles for the books of Exodus and Leviticus. I use a homemade lightbox to trace these images into my scriptures/scripture journal. (My husband is a genius and loves making things like that for me. Yes, I'm a lucky lady!) But this lightbox would work really well, too. I like to use colored pencils so I can still read and use my scriptures. I LOVE these Staedtler Ergosoft colored pencils. I use them exclusively to add color in my scriptures. They give a beautiful vibrant color and blend really well together. They are soft enough that they've never ripped through the thin pages. I use the lightbox and trace the outlines of the graphics into my scriptures with black colored pencil. It's a little awkward to hold the book just right as I'm tracing, so I only do the outline and then I color the doodles in without using the lightbox. I would love to see how you're using these doodles! Please tag me on Instagram so I can see your work!